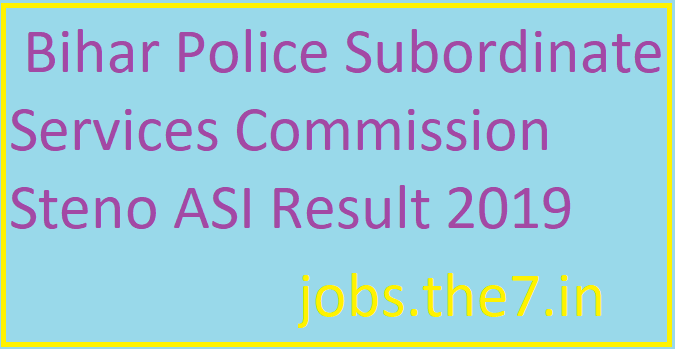 Bihar Police Subordinate Services Commission Steno ASI Result 2019 - Government Jobs, Sarkari Naukri, Sarkari Result, Admissions, Rojgar, Exams Alerts. Recently in a Press Releases Bihar Police Department has announced the Final Result for the Examination, 2018 .Selection procedure was based on Written & Physical Endurance Test. 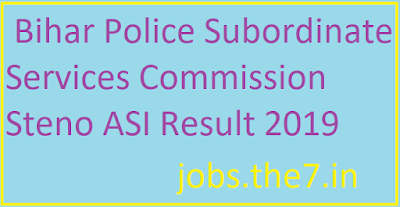 In September, 2019 PET Examination was organized in Bihar & on the basis of Final Marks scored by candidates in Written & PET Exam PDF List has been uploaded by the Police Department.